Megan Gunderson was diagnosed with cystic fibrosis when she was 3 months old and grew up in Crandon, Wi. 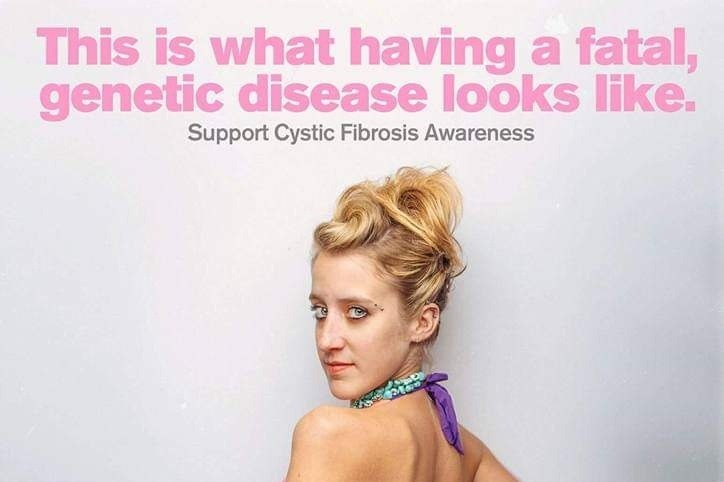 Megan's life with Cystic Fibrosis has been very challenging and filled with many doctor visits, hospital stays, and multiple daily medications and breathing treatments. Breathing is something she struggles with every second of every day. She now lives in Green Bay, WI. In 2018 she started arrangements for a double lung transplant through UW Madison Hospital. 2019 brought more lengthy hospital stays. She was only measuring 15% lung function. March she was too weak to get out of bed. Her care team decided it was not safe for her to breath on her own. On a ventilator and heavily sedated for weeks. She was placed on the emergency transplant list. Only a couple days on that list she was the recipient of a double lung transplant on March 17th 2019! Even with new lungs, life after a transplant will be tremendously hard. If you would like to support Megan's recovery you can donate on this page. All funds will be used to cover her medical expenses, recovery efforts, and keeping her family and friends close by her side. All the funds collected in the campaign will be deposited to the beneficiary's/Doug Dimmers account. Doug is Megan's boyfriend who has been by her side throughout everything. I know money is tight but even $5 will help us get to our goal. If you can't donate, plaese share. Share more than once. And any prayers are always welcome. THANK YOU. Great news today!! I will be able to drive Megan to Green Bay tomorrow to St. Vincent rehab facility for about 3-4 weeks then be able to come home!! I want to thank everyone for the out cry of prayers and support at this time of need:)!! Megan is really close to being released to a rehab facility in grb. Hopefully by the end of this week!! Still a long road of recovery, but one step closer to home. More good news today. Megan had her trach tube removed from her neck. One more step to recovery. She still has a whisper for a voice. Better then nothing:). There is also talk of her being released to a rehab clinic in Green Bay at the end of next week. Fingers crossed and keep the good vibes coming! !